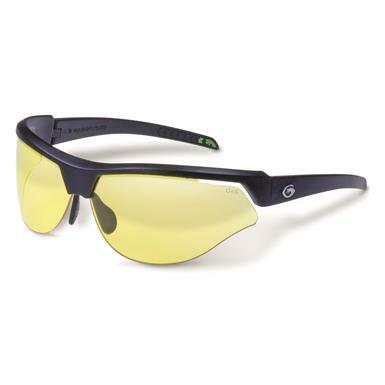 Protective eyewear with superior clarity. When you need eye protection that doesn't intrude or obstruct your vision, turn to these Cardinal Performance Sunglasses. They exceed all ANSI Z87.1+ standards for clarity, high-mass and high-velocity impact protection—making them ideal for shooting sports and extreme-focus work scenarios. Lens separation near the temples offers ample ventilation and frame flexibility. Resilient TR90 NZZ frames exceed the performance of lesser TR90 frames on the market. Anti-reflective lens coating offers added clarity. Double-sided Tri-Tech oleophobic treatments gives them smudge resistance. Order these Gargoyles® Sunglasses today!